A new retrofit project in Galway has shown just how far the retrofit of a typical Irish home can go, by bringing a 1960s semi-detached house up to the full passive house standard. When it came to heating, the owners had originally planned to put in a wood pellet boiler and solar thermal. 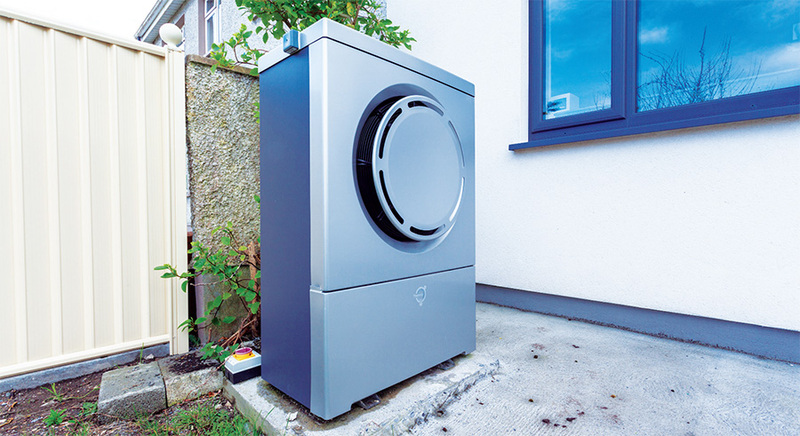 But when M&E specialist Damien Mullins of Heat Doc came on board, he steered them away from that idea, and towards a Thermia air-to-water heat pump, for the sake of simplicity. Designed around an existing timber chalet, this striking contemporary house managed to go passive on a budget for one lucky family of six, all while inadvertently blitzing Ireland’s forthcoming nearly zero energy building standard. A Danfoss air to water heat pump, consisting of an outdoor collector unit (left) and indoor unit with 180 litre cylinder (right), supplies heat to the house via an underfloor heating system. Heat Doc now undertaking new Better Energy Homes Grants installations for Heat Pump System Grants, Solar Thermal System Grants and Heating Controls Grants. Contact us today for the latest information and grant eligibility.